Pavlic Vending offers many vending equipment solutions for companies with a wide range of employees. So whether you're looking for cold drinks, snacks, coffee, cappuccino or refrigerated foods, we have the equipment to meet your needs. Call us to speak with one of our professional 'Refreshment Consultants' to discuss your specific needs and set up a free demonstration and sample some of our products. 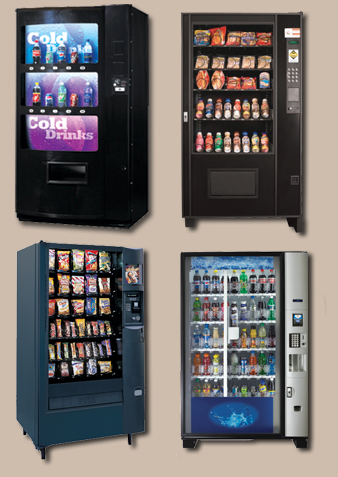 Only the most reliable vending equipment is installed at your company. Once installed, your machines will br stocked and cleaned on a regular schedule by one of our professional associates. Installation of vending equipment, equipment cleaning, and stocking services are provided at no cost to you.